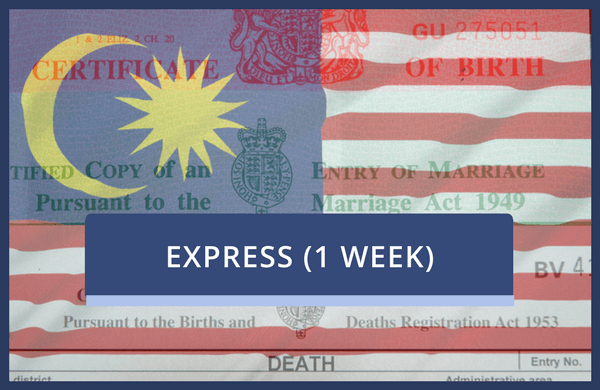 Choose this service to have a document legalised for Malaysia which does NOT require certification beforehand by a solicitor or notary public. Please only select this service if your document has been seen by the FCO. This is our Express 1 Week service.